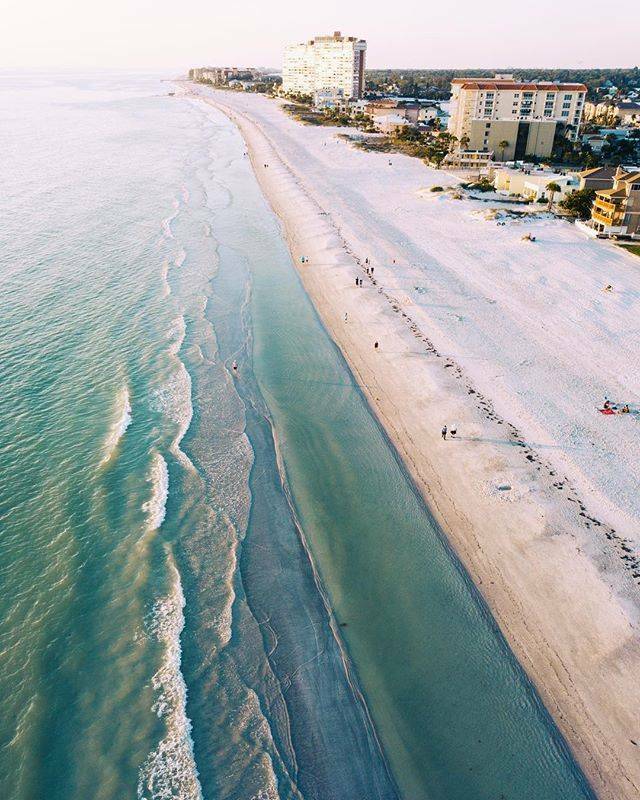 With two of TripAdvisor's top beaches in the U.S. located here in St. Pete/Clearwater, it's easy to plan your perfect vacation in paradise. 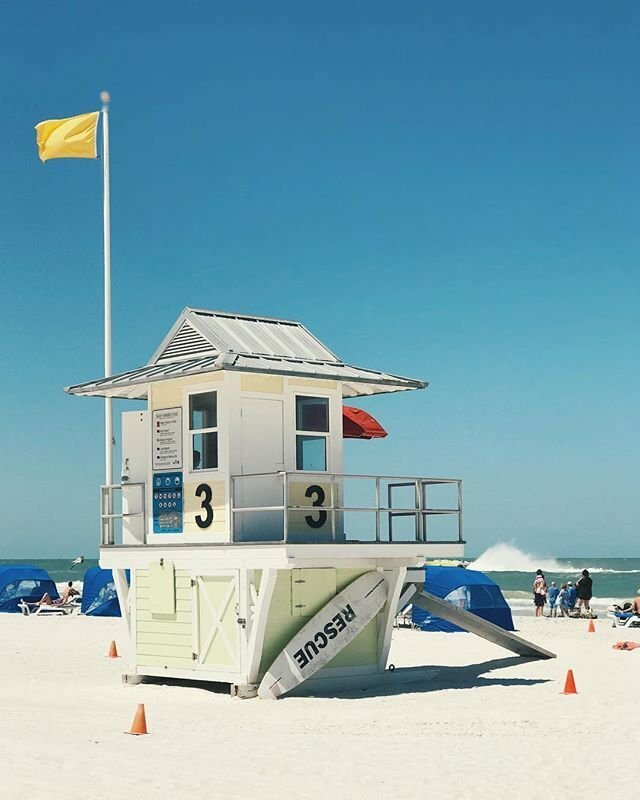 With 35 miles of white sand bliss to choose from, you’ll find an island-style vacation without leaving the U.S. Scroll down to learn more about Clearwater Beach, TripAdvisor's No. 1 beach in the U.S. in 2019 (and in 2018 and 2016, too!). 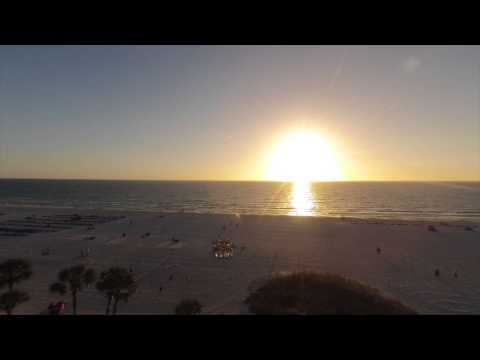 Discover more about St. Pete Beach, Trip Advisor's No. 4 beach in the U.S. in 2019. Or click on the map pins to find white sugar sands, old Florida vibes and untouched natural beauty in the American Tropics! It's time to get away and love your beach. Tap the pins on the map to jump to a beach! This undeveloped 385-acre barrier island off Dunedin has four miles of sandy beaches, hiking trails and bird-watching opportunities along the Osprey Trail. Upon arriving, visit the Rotary Centennial Nature Center to learn about the island. Swim, hike, bike, kayak, or simply relax. Top Tip: Honeymoon Island boasts one of the prettiest dog beaches around! Don’t Miss: Enjoy outdoor activities along this serene, undeveloped beach like shelling, kayaking in St. Joseph’s Sound, and playing with Fido on the popular dog beach. Don't Miss: Hiking along the long stretch of beaches. Don’t Miss: Part of the Great Florida Birding & Wildlife Trail, Honeymoon Island is perfect for taking in nature. Keep an eye out for osprey nests and shorebirds. Caladesi landed on Dr. Beach's Top 10 Beaches of 2016 and was voted No. 6 Best Beach in Florida by USA Today in 2015. The island is accessible only by boat—ride the ferry from Honeymoon Island, or rent a kayak and tour the mangrove trails. Natural beauty meets modern amenities with an on-site concession, showers and changing rooms. Top Tip: Bring beach chairs and a cooler, or rent a beachside cabana. 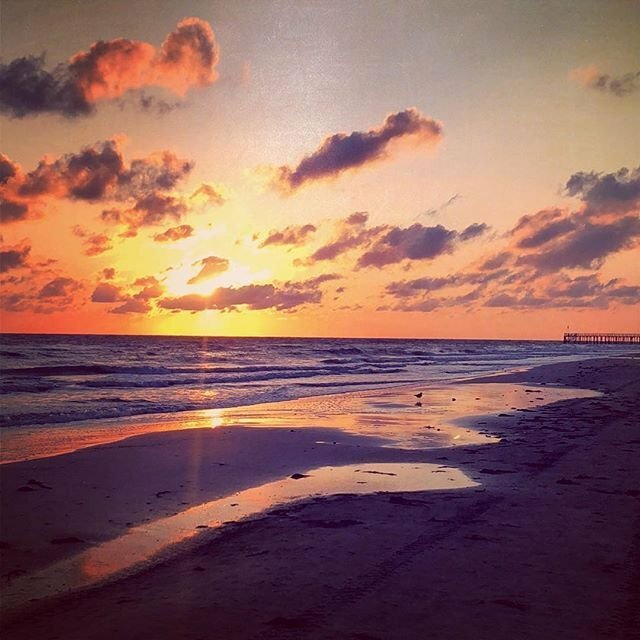 Don’t Miss: The unspoiled sandy beach with views of the Gulf of Mexico. Get a taste in our Caladesi Island video. Don’t Miss: This uninhabited barrier island—only accessible by ferry—is a perfect spot for camping on the beach, and features amenities like a café, rental shop, showers, bathrooms and grills. Don’t Miss: The four-mile-long kayaking trail through mangroves; exit the trail and finish your journey kayaking through the Gulf. Fun-loving Clearwater Beach was voted the No. 1 beach in America by Trip Advisor in 2019, 2018 and 2016 (it was also named No. 6 in the world in 2019!). Wide sugar-sand beaches and emerald-clear surf dotted with dolphins make this an active beach scene. Soak in the sun, then dust off the sand and enjoy all this city-beach has to offer from downtown Beach Walk's shops, to waterfront restaurants like Frenchy's, and rooftop bars including Jimmy's Crow's Nest. Don't Miss: Staying right on the beach in one of the brand-new resorts like Opal Sands or Wyndham Grand. Don't Miss: Burying your toes in the soft, sugary white sand that somehow doesn’t seem to get hot. Don't Miss: Sunsets at Pier 60, a nightly gathering at this walkable entertainment area filled with crafters, buskers and live music. 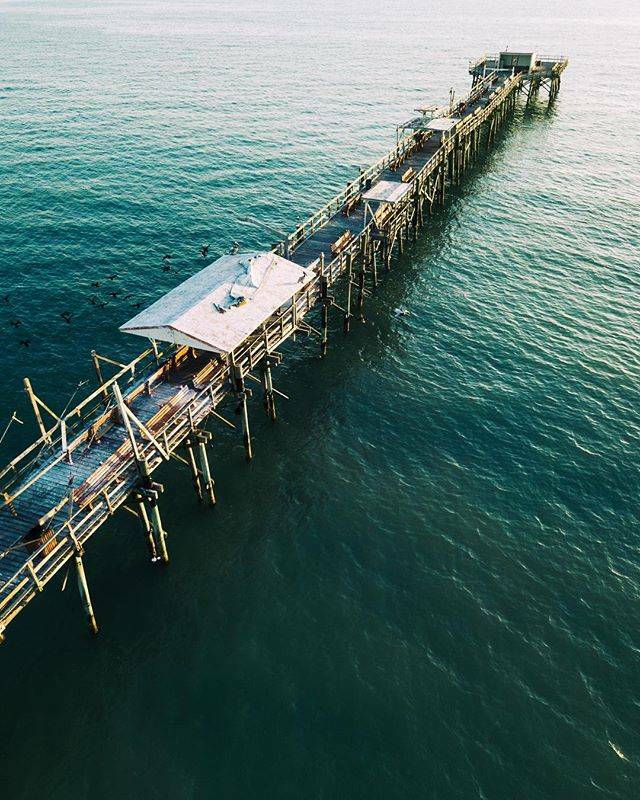 Stroll the pier while watching the sun sink into the Gulf. Don't Miss: A particularly famous dolphin: Winter, the star of Dolphin Tale and Dolphin Tale 2, at Clearwater Marine Aquarium. If you prefer solitude with spectacular gulf views, quiet and romantic Sand Key Park is just a bridge away from the lively Clearwater Beach. Pack a picnic and set up camp at the tables on the north side of the island, or grab a fishing pole and kick back at this 95-acre county park with its wide beach, picnic pavilions and bathhouses. Explore the trails and boardwalk that winds through a salt marsh, and after a storm, collect shells along the shore. Top Tip: It’s super-easy to drive and park at this beach, with nearly 700 spaces and a daily parking fee of only $5. Don't Miss: Snapping a selfie at this pristine paradise to make your friends jealous (and think you were on a secluded island). Don't Miss: Enjoy the long walk up the beach, then reward yourself with a sunset cocktail at the Sheraton Sand Key Resort. Don't Miss: Come for the white-sand beach, stay and explore the county park, featuring a dog-friendly area and kid-friendly playground. 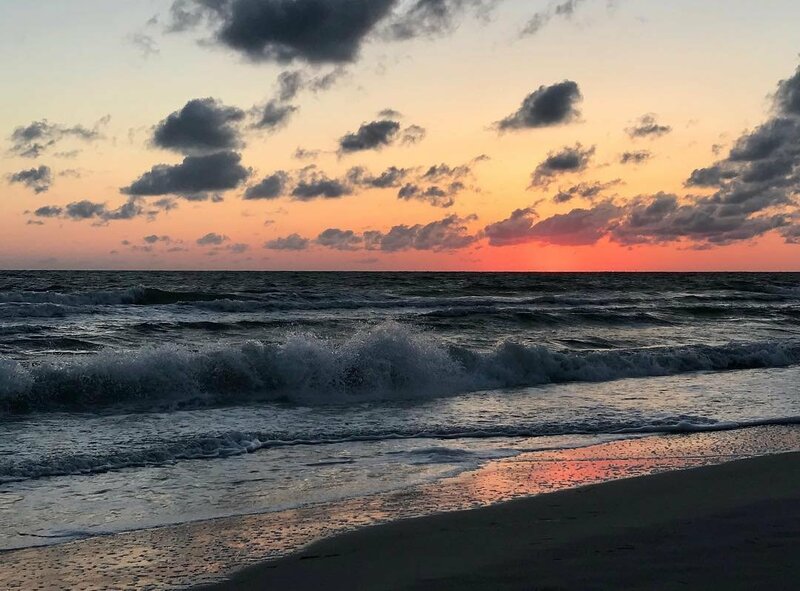 Your stress will be gone with the wind when you chill out with the locals and condo vacationers along quiet Belleair Beach. Find a spot on 4,500 feet of secluded shoreline dotted with the area’s most lavish mansions and settle in for a reverie of sun, sand and seagulls. Parking spots can be nabbed at the beach access points with trails leading through the dunes to the beaches of this low-key gulf-front community. Top Tip: Bring snacks and water: there are no public facilities or commercial establishments on this stretch of beach. Don't Miss: Relaxing on the beach away from the hustle and bustle. No crowds, no active sports…just peace and quiet. Don't Miss: Approach the beach by boat and dock at the 7th Street Park Boat Ramp and the Municipal Marina across the street from the beach. Time for a nostalgic taste of Old Florida along this narrow barrier island. Some 20 beach access points lead to the picture-perfect beach. When hunger and thirst strike, you’ll find lots of options. The flip-flop crowd makes a beeline to Lulu’s Oyster Bar and Tap House, while Guppy's on the Beach Grill & Bar serves al fresco seafood and cool drinks. Top Tip: Come early to grab a parking spot at Indian Rocks public beach. Don't Miss: A long, well-deserved vacation in one of the many vacation rentals—the condo community here makes this beach a relaxing retreat. Don't Miss: Kids (and kids at heart) should stop by Splash Harbour Water Park for a fun day of slides, tubing, and mini-golf. Don’t Miss: Discover the tiny Seaside Seabird Sanctuary in Indian Shores, home to injured pelicans, birds of prey and other shorebirds. Brilliant white sand and sparkling blue water attract many vacationers to Gulf Boulevard. 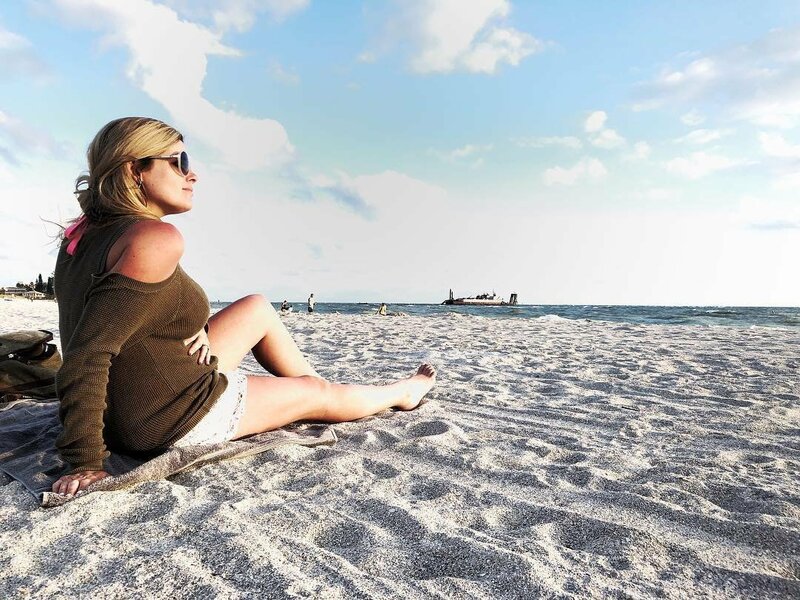 You're bound to find a peaceful stretch of sand among the three small communities of Redington Shores, North Redington Beach and Redington Beach. Enjoy a relaxing stroll at sunset or sunbathe on the warm, wide beach. Don’t Miss: Sunbathing on the wide, white-sand beach. Don't Miss: Fiery Florida sunsets. Head to “Mad Beach” where Johns Pass Village and Boardwalk is buzzing with more than 100 shops and restaurants in a Old Florida-style waterfront atmosphere. Take the Tom Stuart Causeway, an impressive bridge with great views, to this bustling beach. Explore the surf shops and art galleries, then enjoy fresh seafood along the boardwalk at the Friendly Fisherman or Sculley’s. Top Tip: The annual John’s Pass Seafood & Music Festival is a family-friendly event featuring music, arts and crafts, and, of course, some of the best seafood in St. Pete/Clearwater. Don’t Miss: Shopping for souvenirs and people watching along John’s Pass Village & Boardwalk. Don’t Miss: Take to the water from Hubbard’s Marina for their Dolphin Watch tour, a sunset cruise, or a charter boat excursion. Don’t Miss: John’s Pass Seafood Festival, a four-day celebration of seafood, music and more every October. Three miles of sparkling sand lines the gulf with an array of lodging, from luxury resorts to kitschy hotels and small inns. 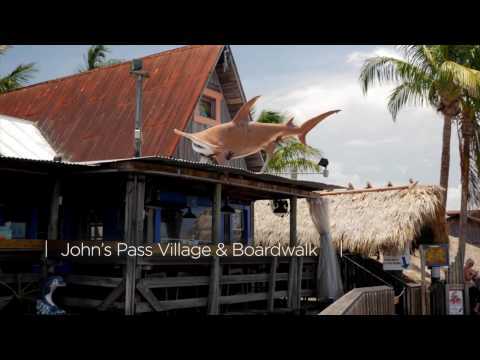 Hang out at the surrounding popular beach bars, and for live music and dancing on the weekend, head over to Gators Café and Saloon at John’s Pass. Dance to the bongos at a Sunday night drum circle an hour before sunset. Don’t Miss: This wide beach boasts dozens of volleyball courts and a mile-long beach walk that runs parallel to the beachfront. Don’t Miss: This beach is Florida’s “sand sculpture capital”—you’ll see why at the Sanding Ovations Masters Cup Sand Sculpture Competition every fall. Don’t Miss: Your beach vacay done right at Treasure Island Beach Resort. Luxurious and modern, every room on this property has a view of the gulf waters. 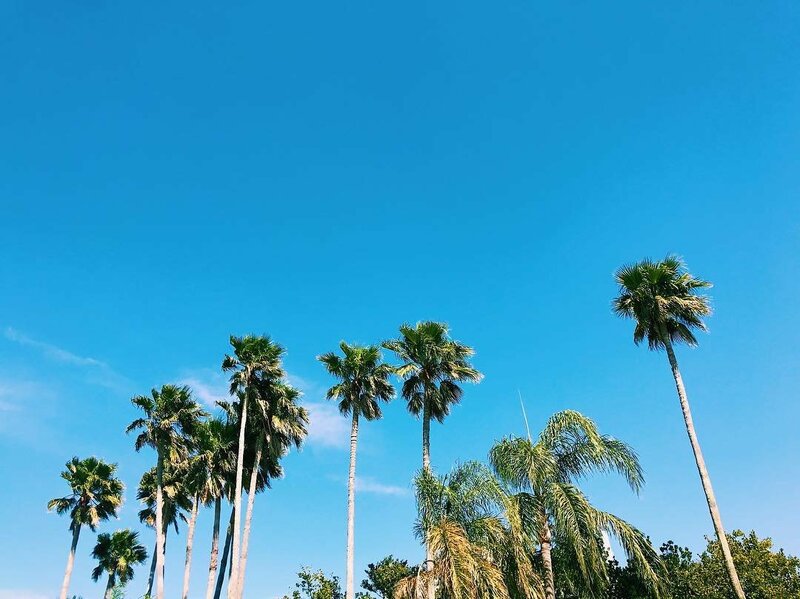 With miles of beaches, surf shops and boutiques, along with a vast array of lodging, dining and water sports for all ages, it's easy to see why St. Pete Beach was voted TripAdvisor’s No. 4 Beach in the U.S. in 2019. From The Don CeSar, to the family-friendly TradeWinds Island Resorts and dozens of hotels and small inns, there’s a place for all tastes and budgets. Try Jimmy B’s, the Undertow and Harry’s for a cocktail, or try one of the area's rooftop lounges for 360-degree views. An added bonus: if you feel the need for some culture and an urban vibe, fun-filled downtown St. Petersburg is just 20 minutes away. Don’t Miss: The calm waters here make for great SUPing. Rent one from Postcard Inn on the Beach. Don’t Miss: Places to stay that span five-star luxury (The Don CeSar), hip and happening (Kimpton Hotel Zamora) and family friendly (TradeWinds Island Resort). Looking for a high-adrenaline experience? Try JetLeving at TradeWinds. Don’t Miss: Rather, can’t miss—all the beach bars that dot this lively beach. Try a tipple at PCI Beach Bar, The Swigwam, or the Undertow. Pass-a-Grille is the epitome of old Florida charm. Voted one of the Top 5 beaches in Florida by USA Today in 2015, it's widely considered a “locals’ beach,” so you’ll get a taste of what it’s like to live here with a visit to PAG. The beach stretches four miles of natural shoreline, along with tasty eateries like Paradise Grille and the Hurricane Restaurant (try the grouper sandwich). Reel in fish from Merry Pier (rod rentals available), or browse the shops and galleries along the Eighth Avenue Historic District. Don’t Miss: Spectacular sunset views (and grouper sandwiches) at Hurricane Seafood Restaurant. Don’t Miss: Living like a local—this community is high-rise free and overflows with charm (some streets are even lined with tiki lights). This popular 1,136-acre county park stretches over five islands. Take in the natural scenes at Fort De Soto Park, with sights of the impressive Sunshine Skyway Bridge from the east end of the island. There are numerous beaches across the islands with shallow surf, picnic areas, a seven-mile paved trail, historic fort and a fishing pier. Fuel your adventure at the on-site concession before renting a kayak or bike. Top Tip: Let the kids explore the awesomely spooky remains of the 19th century fort, then catch the ferry to Egmont Key for a chance to do some snorkeling. Don’t Miss: A day of outdoor fun biking the Fort De Soto Park trails, kayaking the mangroves and exploring the old historic fort and Fort De Soto Batteries. Don’t Miss: Egmont Key is the perfect location to go snorkelling—see why in our video. Don’t Miss: There’s a reason Shell Key got its name—this is one of the best spots in Florida for shelling. Clear waters, wonderful natural beauty and… what are you waiting for? 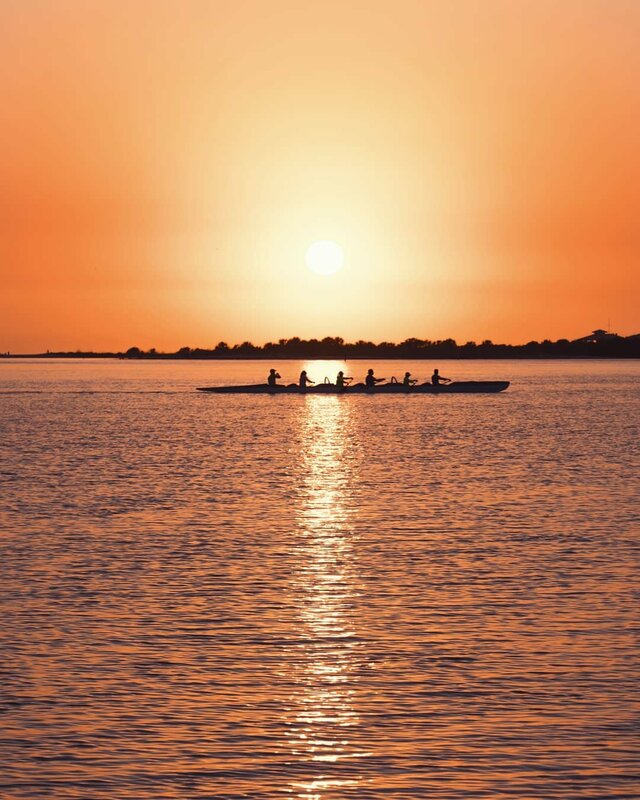 Grab a kayak and chart your course for the ultimate on-the-water experience. Discover the exotic mangrove trails of Caladesi Island, cruise the coastline along our beaches, lose yourself for the day in the intracoastal waterways or cast a line closer to the fish. The beach camping scene here is pure paradise. One beach to get your fire going is Anclote Key Preserve, a barrier island brimming with tropical beauty you have to see to believe. Its 400 acres of sandy beaches, 43 species of birds and an 1887 lighthouse beckon exploration and, even better, an overnight stay under the stars. We’re known for sunshiney days and stunning white sand beaches, but what happens when the sun goes down? The star-filled sky comes out and we turn on the lights! Dive into the world of Beach By Night, featuring “light painting,” a long-exposure photography technique, and you’ll never see our beaches the same again.